I wore this to karaoke. I wanted to wear my pom pom shoes in a more casual way. 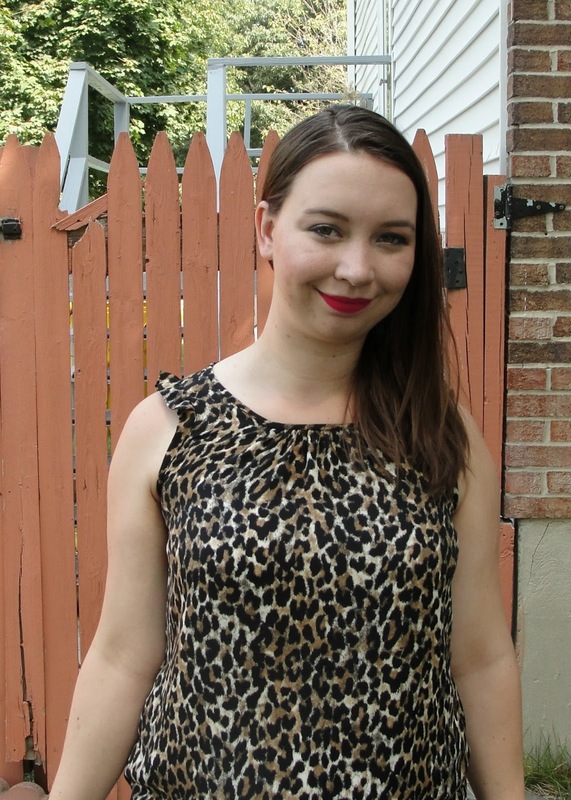 I got this leopard top from ThredUp. I knew I would like it because I already have it. The one I have is a little too small so when I saw it in a size up on ThredUp I grabbed it. To me leopard is a neutral. 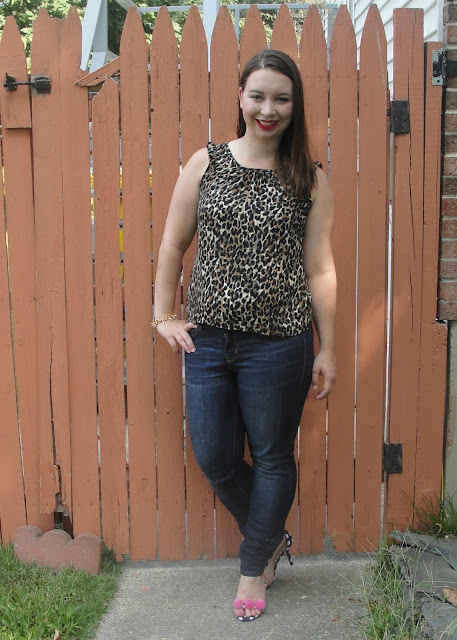 I love the leopard blouse, lady! Those are such fun shoes! 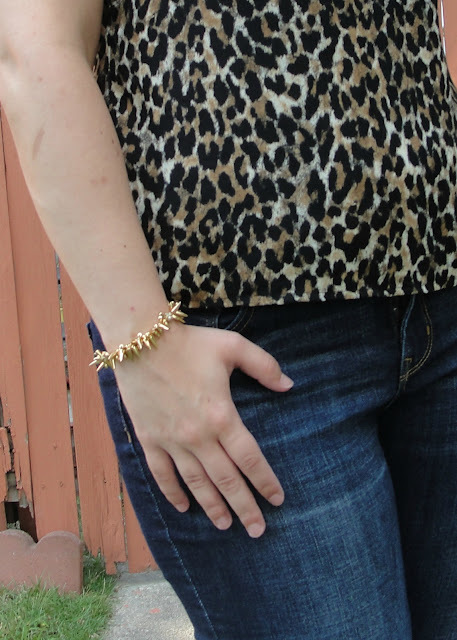 I love the idea of pairing them with leopard. I'm guilty of re-buying something second hand when I've had the chance too. Fun shoes! They make a statement! I love thred up and buying second hand clothes! Those sandals are just fun and cute! What a fun statement piece! Those shoes are really fun and cute! What fun shoes! And I'm loving the leopard top. How adorable are your shoes! 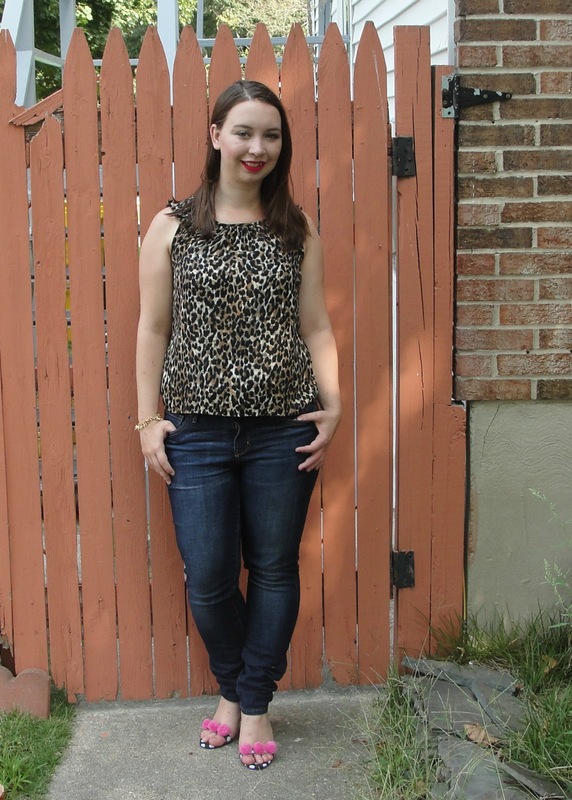 Love this leopard top and the pom poms are such a great contrast to it. Chic look! Love this dressy leopard shell on you with the denim, it looks great! Your pink pom pom shoes are adorable! Love this chic look!